Going into an interview with the confidence that your academic record will reflect your dedication to your studies, as well as your commitment to be crime-free will enhance your chances of securing employment. Nearly 1.5 million graduates with a bachelor’s degree under the age of 25 are jobless or underemployed, according to the U.S. Department of Labor. Studies show that more than 80 percent of employers conduct criminal background checks, so it is safe to assume the jobless rate for graduates with a criminal record is even more bleak. There may be good news for graduates with a criminal record. Many states allow records, especially for young offenders, to have their record cleared. The Law Firm of Higbee & Associates provides a free online eligibility test that will quickly and confidentially tell a person what options are available for clearing a criminal record. The free test can be found at www.RecordGone.com. Contact RecordGone.Com today by visiting our website or calling us toll free at 866-534-7049 to see how you can get started today to securing a solid future after graduation. We have been providing Floridians with essential expungement and immigration information since 2006 and hope to do so in the future to come. We hope that you have learned a great deal from us so you can make more informed decisions on expungement, record clearing, and immigration services. Our recommendations apply to all of Florida, including but not limited to: Jacksonville, Miami, Tampa Bay, Saint Petersburg, Orlando, Hialeah, Tallahassee, Fort Lauderdale, Port Saint Lucie, and Pembroke Pines. Is it a flat fee or hourly rate? Are there any free expungement eligibility tests you can provide? Does the price include filing fees? Will the attorney go to court for you? Does the attorney specialize in expungement? Who will handle your case? Can you speak to the attorney? If you have been convicted of a felony or served prison time, you’ve likely encountered problems re-entering the workforce. 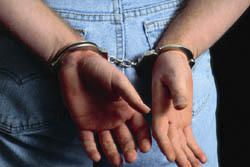 If you were convicted of a felony and did not serve prison time, you may be eligible for expungement. To see if you qualify, take RecordGone.com’s free eligibility test or call at 877-573-7273 They serve all of Florida. The content provided in this web site is offered strictly for informational purposes only and should not be construed as legal advice or legal opinion on any matter. ©2006 - 2019 Copyright Expunge Florida Records, All Rights Reserved.